Here are a few fun ways to incorporate some tech into your Halloween. This is a sure fire way to freak out anyone with a pretty easy costume. 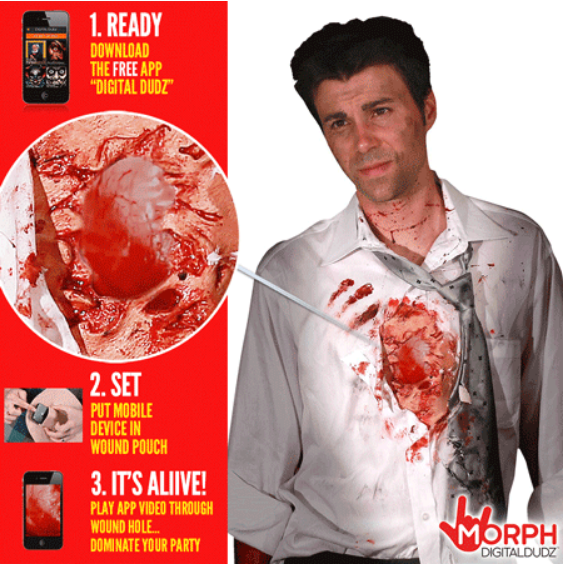 Go to morphsuits.com and pick from a cyclopse mask or someone with an open heart wound in the form of a T-Shirt. Then download the app Digital Dudz and insert your smartphone into the pocket provided in the costume for a freaky life-like effect. Want to dress up your door to freak out the trick or treaters? This full size video panel is available for $149 or you can go the 3-D effect and get an arm that will extend past for about $349. They have several versions available including an axe killer, zombies or a psychiatric nurse. You know you always wanted to be a Jedi! 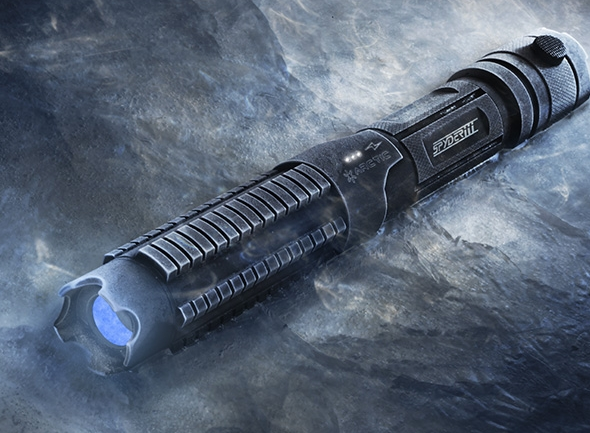 At Wicked Lasers you can get the real light saber for $199. They also have some other portable lasers that have a 1 watt beam for $299.